Because you are a parent, the problem of head lice may come up at one time or another in your life. Kids are especially likely to become infested with these parasitic little bugs since they’re most readily spread by head-to-head contact, and kids are frequently in contact while playing. 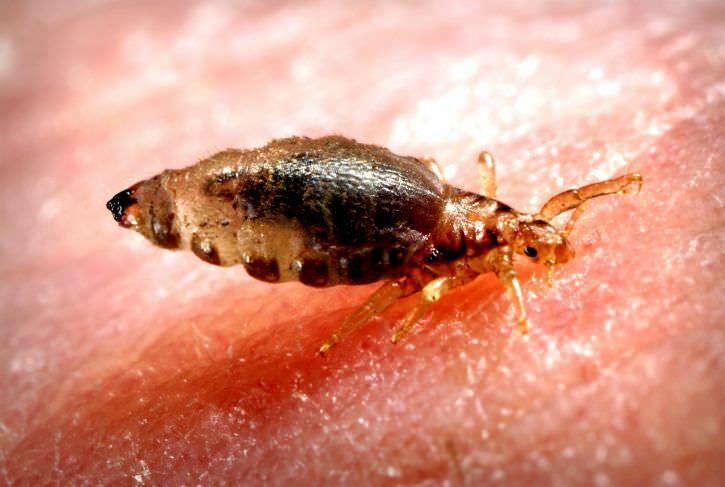 Whether children are pressing their heads together for that selfie or huddling during the football game, these little six-legged nuisances will take the opportunity to crawl from an infested child to your child’s hair. It’s helpful to know that lice occur in three stages. They start out as eggs, or nits, and then they are called nymphs after they hatch and for about 9 to 12 days afterward. The final stage is that of a mature adult. The adult is called a louse, which is simply the singular form of the word lice. If you wish to check any of your children for lice, you should probably have a magnifying glass and a bright light handy. Even the fully mature louse is only about 2 to 3 millimeters in length, and the nymphs, as expected, are even smaller. Both lice and nymphs are a grayish tan color, and the nits can often appear yellow or white. Nits are such tiny dots that they’ll often be mistaken for dandruff except that they’ll be hard to remove because they’re secured to the base of a hair shaft with a glue-like substance. As mentioned, lice can crawl from one child to another through direct head-to-head contact, so tell your kids to avoid this. Also, tell them not to share hats, helmets or scarves that have been worn by other children. Any of your children with long hair should tie it up to minimize the prospects for contact with an infested child’s hair. While lice do not present a danger to your child, they’re still an annoyance that’s best avoided given that they bite the scalp in order to feed off the blood under it. Some can be allergic to their saliva, and this can cause itchy, red bumps that can become even more irritated when scratched. That said, some with lice will be asymptomatic, so it pays to visually check for them. As a parent in the Toms River area, you’ll want to know about the head lice removal company of Lice Lifters Toms River. When you bring your child to our lice treatment center, our certified lice technicians perform a head check to spot any lice present. If any are found, we utilize a combination of safe, all-natural techniques and products to quickly and affordably eliminate this problem from your infested loved ones in a single visit. If anyone in your family is suffering from head lice, please contact our head lice removal company today.